Sleeveless pink organza dress with embroidered bodice, set-in sage satin trim with bow detail at empire waist and rows of pink and gredy satin ribbons on the skirt by Bonnie Jean. Built-in underskirt with crinoline ruffle. Tie-back. Zipper-back closure. 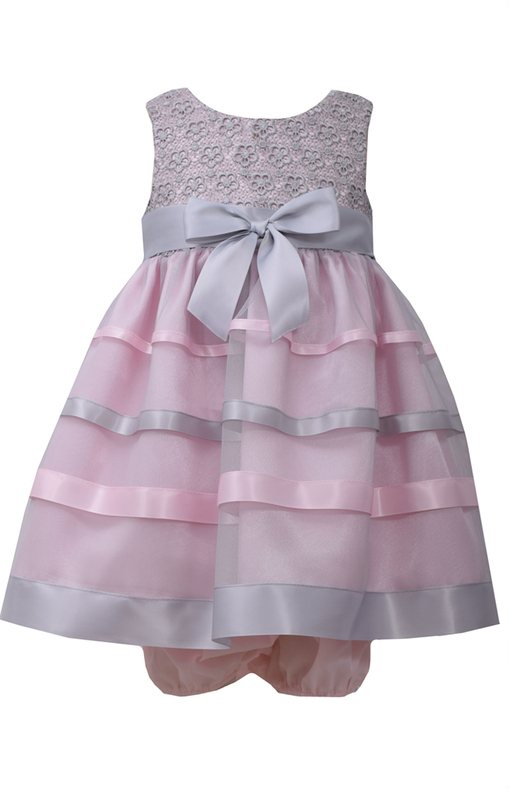 Beautiful dress for your little girl, perfect for Easter, birthday, wedding and any spring and summer special occasion!